Use the DOM Tree to explore the full structure of your pages. 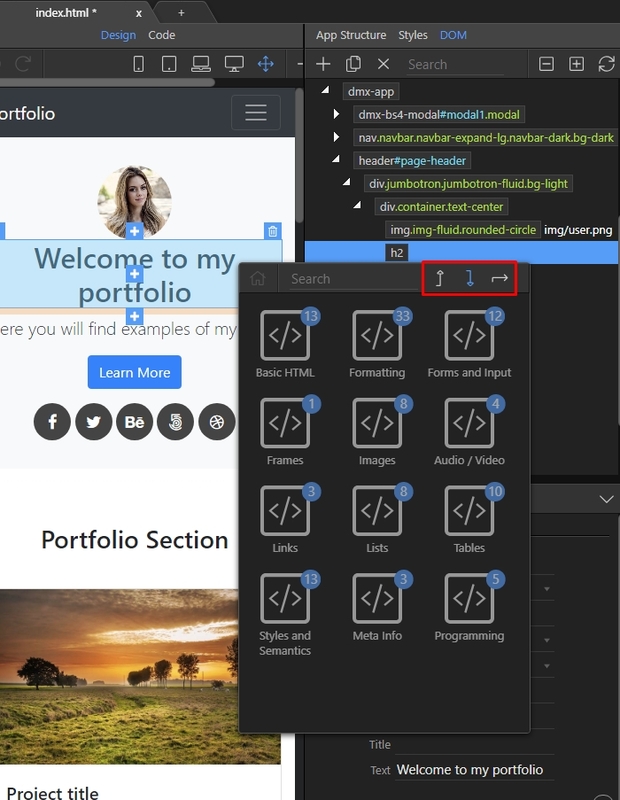 Selecting an item in the DOM structure will allow access to all the extended HTML properties of the chosen element. 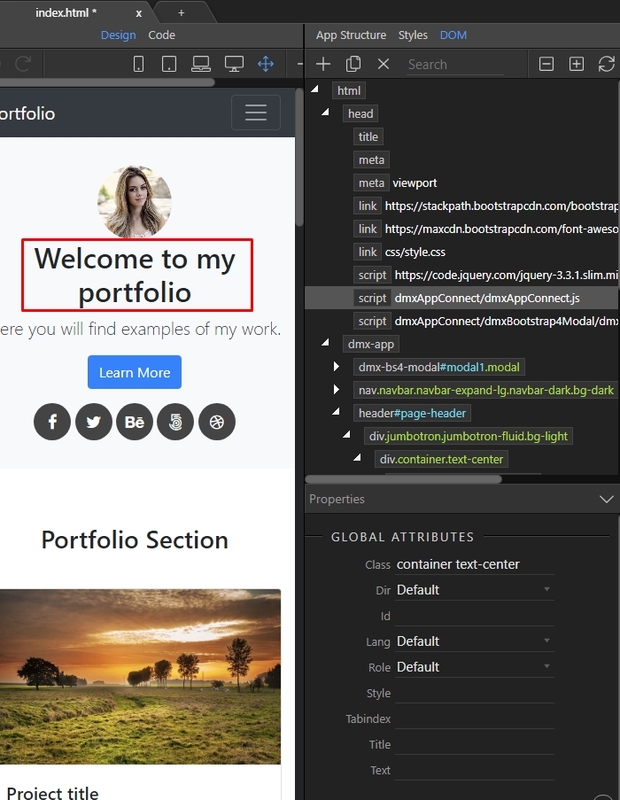 You can select an element from your page and it will automatically highlight in the DOM Tree. 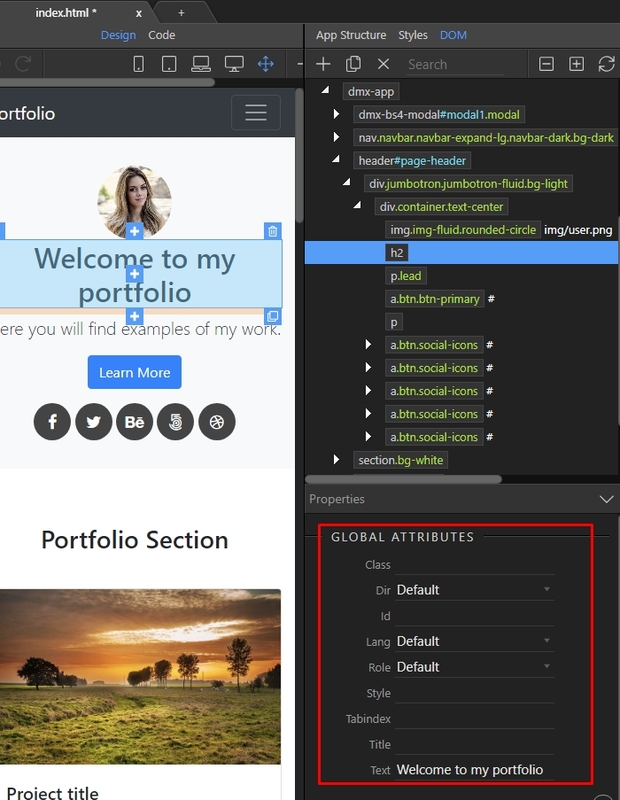 There you can see all HTML Elements and their attributes. You can access the panel by clicking the DOM button. You can explore it’s attributes and properties by adjusting them as needed in the properties inspector. 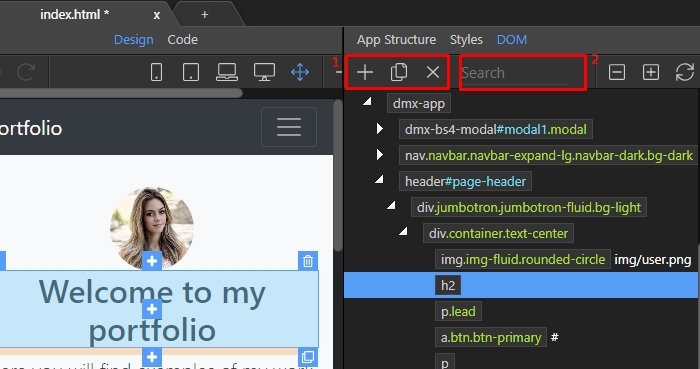 The available options you will find in the inspector will alter according to what element you have selected in the DOM or on your page. Right clicking an element in the DOM Tree allows you to insert any other element before, after or inside it. The DOM Tree toolbar also allows you to add, duplicate and delete(1) elements in the tree, or enter a search for specific elements(2).